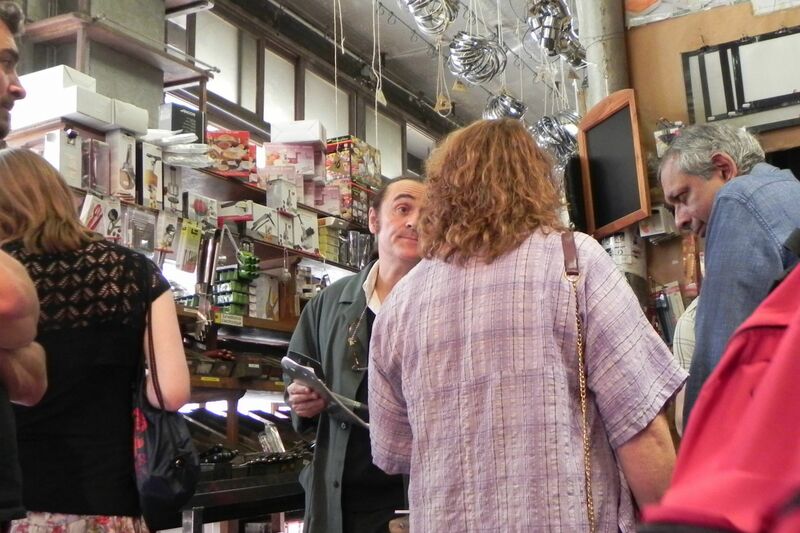 The Experienced Travelers had some serious shopping to do at E. Dehillerin, the world-famous cookware store in the rue Coquillière since 1821. Dehillerin caters to top chefs, and offers everything they could need in huge quantities under one roof. Dehillerin stocks the tools which produce the soufflé, sole meuniere, mille-feuilles and pâtés en croûte that earn Michelin stars. It’s an atmospheric place that’s not for the claustrophobic. I’m sure that dust from the boots of Louis-Napoleon’s chef is extant in Dehillerin’s basement. 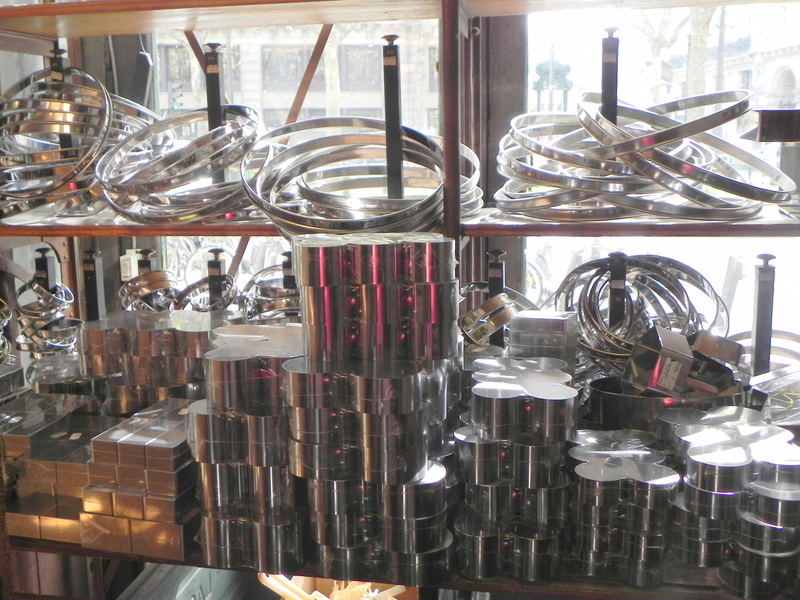 It’s an Alladin’s cave of copper cookware, molds, cast-iron pans and mysterious accoutrements, stacked on floor-to-ceiling shelves from that must date from the Belle Époque. Melinda is truly Nurse’s daughter; Dehillerin was one of her first requests the day we arrived in Paris. Since I’m a better dinner guest than cook, I’m overwhelmed by the scope and complexity of Dehillerin. I usually send Nurse in ahead of me so the intimidating clerks get to her first. This time, I held the door for Melinda and followed meekly behind as she navigated this cluttered, dusty Disneyland of cuisine. Melinda was a woman with a mission; Knives. Fortunately I can recognize knives, so I hoped to be helpful. 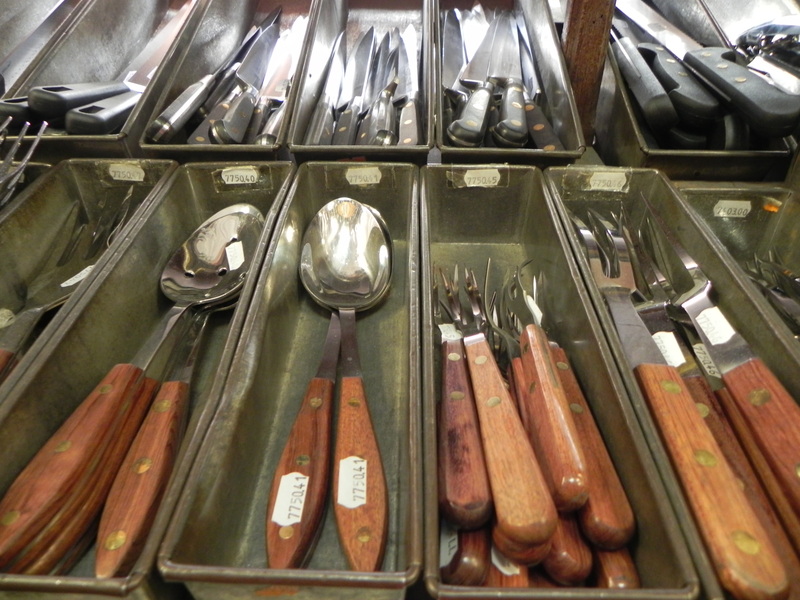 There were hundreds of them – paring knives, bread knives, fish knives, serrated knives and several machetes in case you must slaughter a fatted calf for a State occasion. I nervously watched two armed combatants vie for the superiority of their knives, and one of them is French for whom this was a matter of la gloire. How did they know who was winning? Melinda speaks no French and the clerk knew only a little English. There were declamations, explanations, arm-waving, head-shaking and finally, resignation. The clerk gave a Galic shrug and Melinda prevailed. If you're expecting the Regiment to dinner, Dehillerin can provide the tools. We slinked off to look around. Browsing is an exercise in “name that tool”. Each of these things is necessary and must do something, but I’m not savvy enough to know what. I did see a lovely copper container that would do nicely for my final resting place on the mantle. 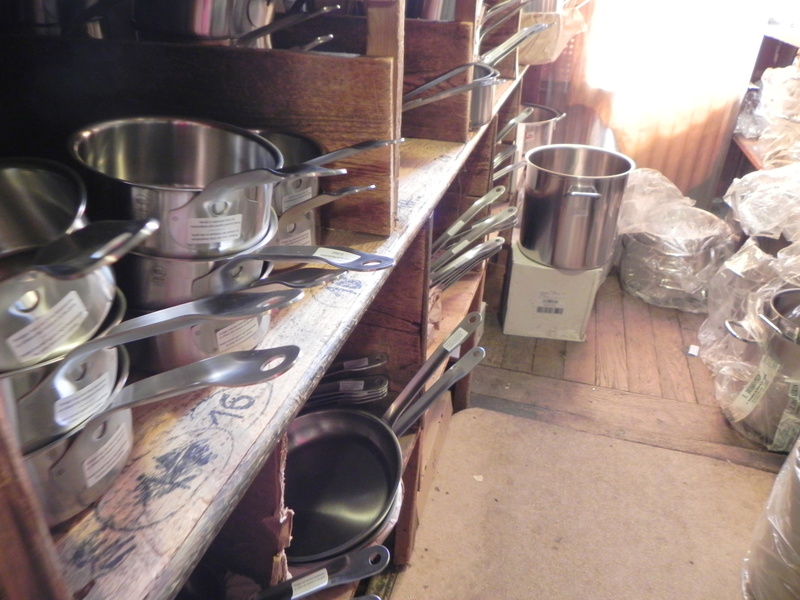 I recognized the melon-ball scoops (about 8 different sizes) and the madeleine pans, the shelves of wire whisks and walls of stainless steel cookware. 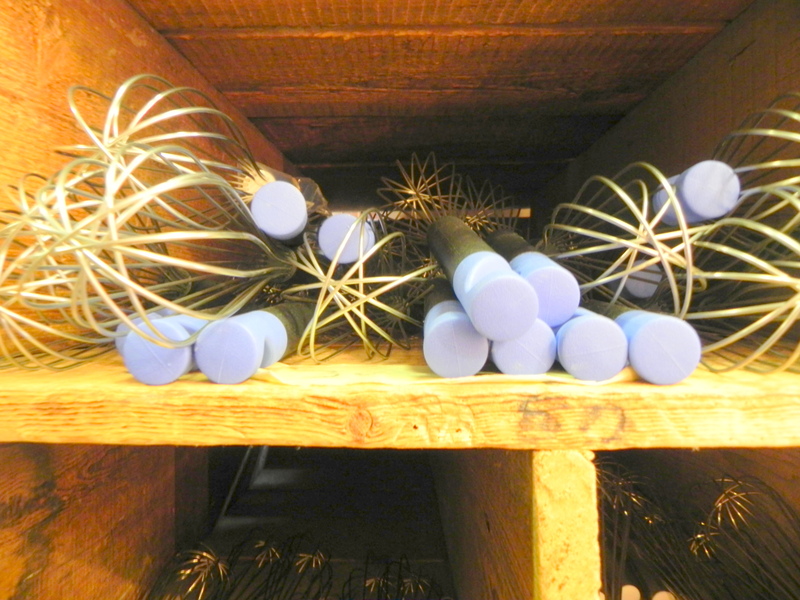 Had they been arguing over these whisks instead of razor-sharp knives, I wouldn't have worried. The longer I lingered, the more I wanted to buy some of these beautiful, amazing things. This is when Nurse pulls me out into the fresh air and reminds me that I can’t cook. If you want to leave Paris with a duck press, a copper-lined turbot kettle or a pot large enough to sit in, then Dehillerin will delight you and all who dine with you. "Just deserts". 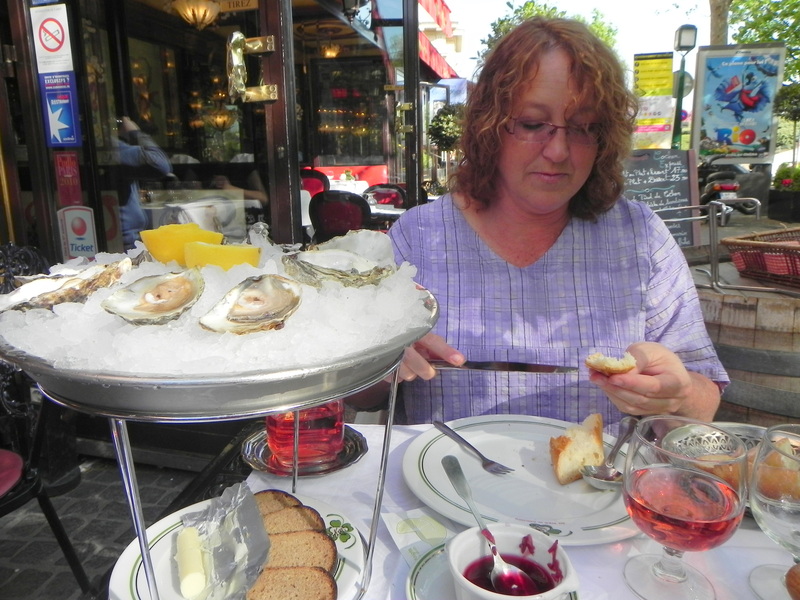 Melinda earned her oysters - and her knives! This entry was posted on June 27, 2011 at 8:57 pm and is filed under Paris Shopping. You can follow any responses to this entry through the RSS 2.0 feed. You can leave a response, or trackback from your own site. Ah… when we walked through the doors, I wanted everything – and the industrial kitchen to fit it all in. 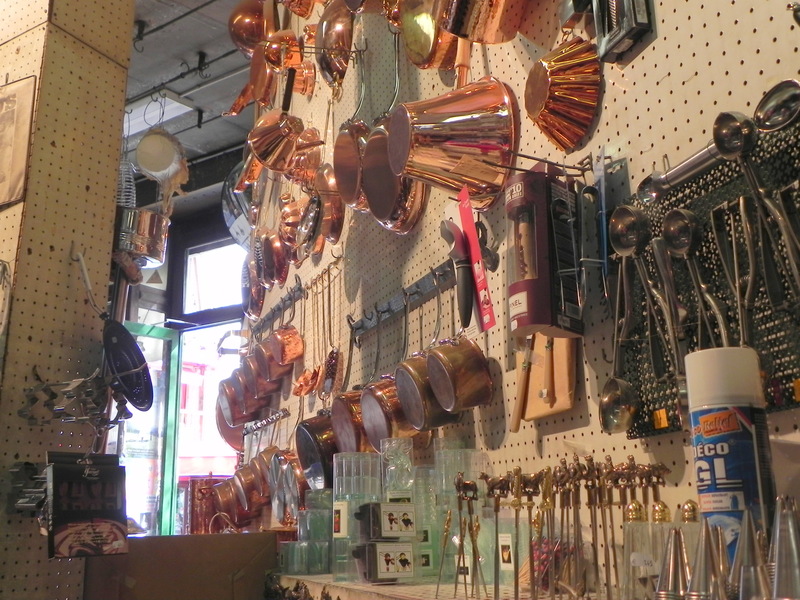 The copper pans and bowls… ::sigh:: It truly is a marvelous store. But it is a marvelous store. What fun! Tim, Melinda was simply superb – she fought for her knives and won. In spite of the quirks we faced it was a fun exploration. I saw some amazing things and have absolutely no idea what they were, but oh they looked fantastic. I thought of your “single use” rule (nothing in the kitchen that does just one thing) and imagined where one would put all theses single use beauties.